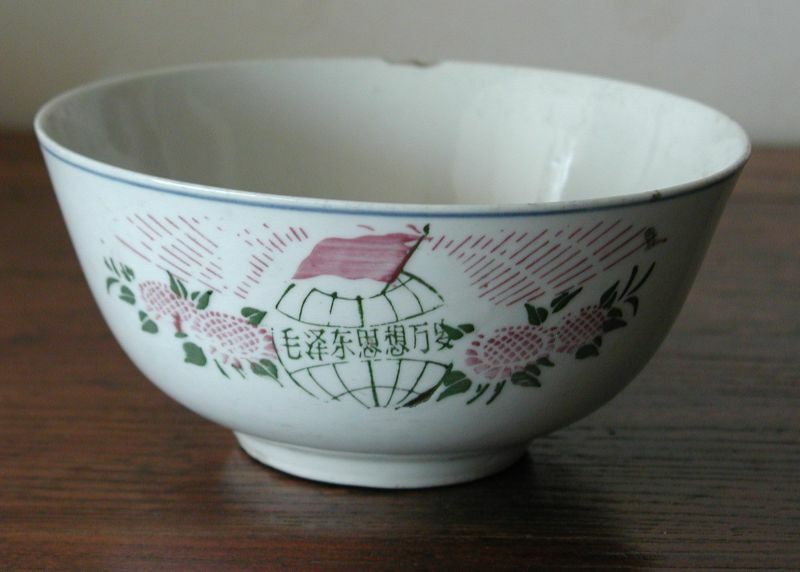 This is an unusual ceramic bowl from the Cultural Revolution because it is a deep bowl, rather than the more usual cereal bowl. It is 16cm in diameter and 7.5cm high. 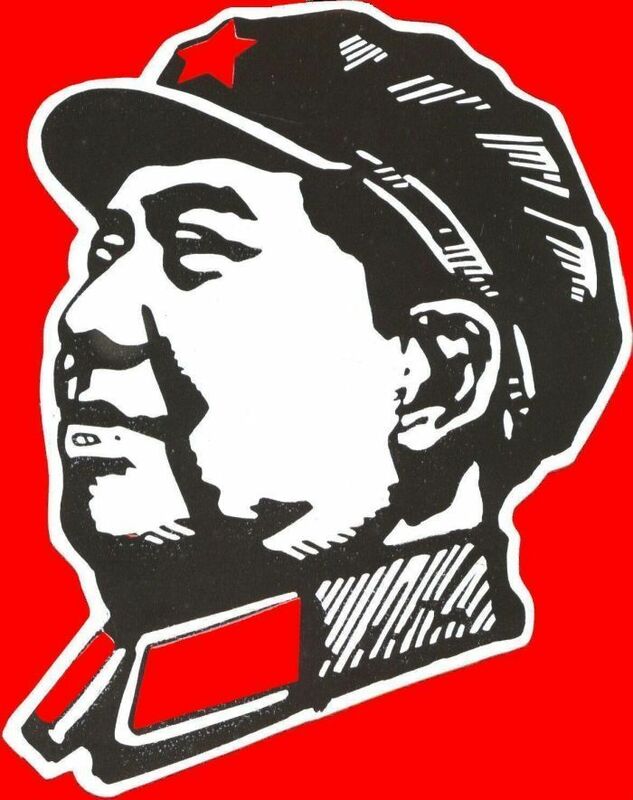 The design on the outside shows a globe with a Chinese flag and the words, "Mao Tse-Tung Thought Forever" and the words alone on the reverse side are, "The Cultural Revolution Depends on Mao Tse-Tung Thought". 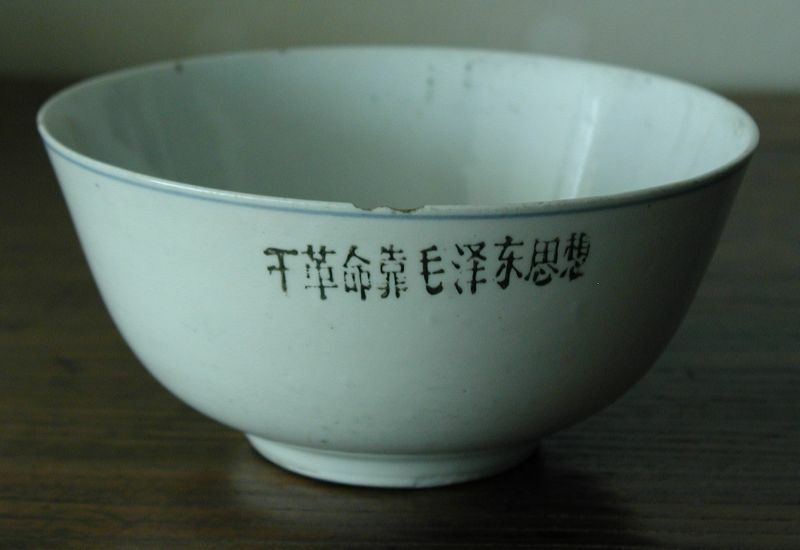 The bowl is in good condition with a small chip on the rim, otherwise an authentic artifact from the Cultural Revolution.